After spending the weekend at her country house, my friend, Maureen, brought me back the most beautiful selection of freshly picked strawberries. After much deliberation, I finally decided on their fate - a mixed berry pie. I knew raspberries and blueberries would compliment their taste perfectly, and I have been seriously craving pie for quite some time. 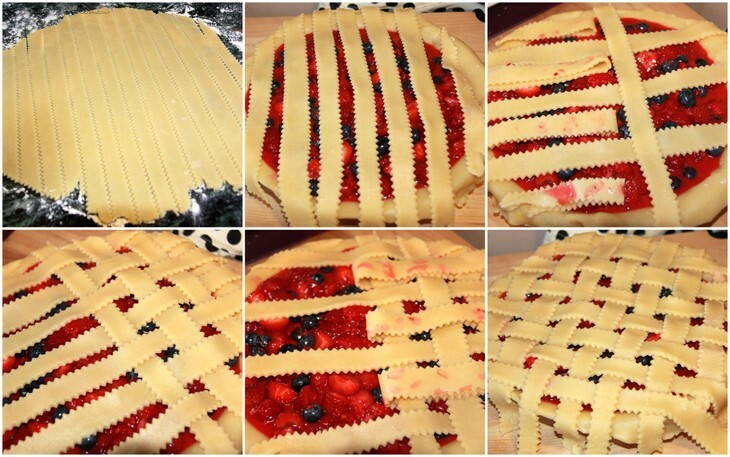 Below is the recipe for the crust and the filling. I have made this crust many times and it is officially my go-to pie crust recipe - it is adapted from Martha's very own, and I HIGHLY recommend using it for all your favorite pies. 1. Cut each stick of butter into eight pieces, and refrigerate until needed. 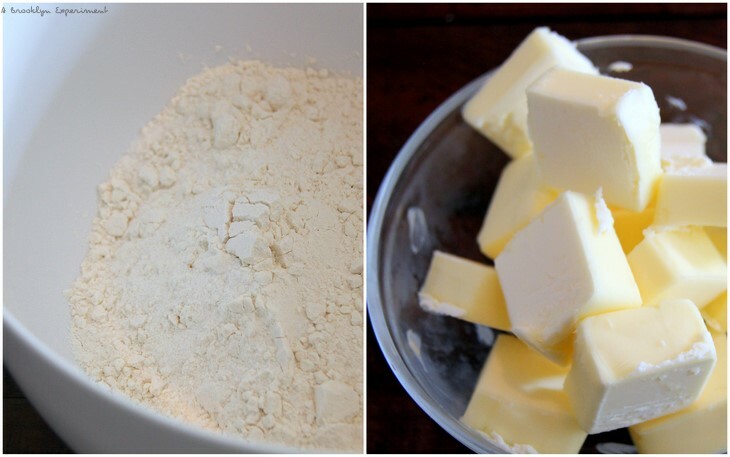 Place the flour, salt, and sugar in a large mixing bowl, and mix to combine. 2. Add the chilled butter using a pastry blender. The mixture should resemble coarse meal with small pieces of butter (the size of small peas) remaining visible. I don't have a pastry blender so I used a food processor, and it worked out just fine. 3. Drizzle 2 tablespoons of ice water over the flour-butter mixture, and blend. Repeat with an additional 2 tablespoons water. At this point, you may have to add more water: When a handful of dough squeezed together just holds its shape, you’ve added enough; if the dough crumbles, continue incorporating water, 1 tablespoon at a time, checking the consistency after each additional tablespoon. 4. Turn the dough out onto a clean work surface. Divide into two equal pieces, and place on two separate sheets of plastic wrap. Flatten, and form two disks. Wrap, and refrigerate at least 1 hour. 5. Lightly dust a clean, dry work surface with flour. Place the chilled dough in the center of the work surface, and dust the dough as well as the rolling pin with flour. Position the rolling pin on the center of the disk, and begin rolling the dough away from you. Give the disk a quarter turn, and roll again. Continue turning and rolling until you have an even 1/8-inch thickness. Turning the dough as you roll will prevent it from sticking to the work surface. A dry pastry brush is handy to remove any excess flour during and after the rolling process. 6. Lightly butter the pie plate. To minimize stretching when moving the dough, roll it around the pin, lift up, and unroll over the buttered pie plate. Using your fingers, gently pat the dough into place. Trim any excess dough with a paring knife or kitchen shears, leaving a 1-inch overhang; then fold dough under to reinforce the edge. 1. In a large mixing bowl, stir together sugar and cornstarch. 2. 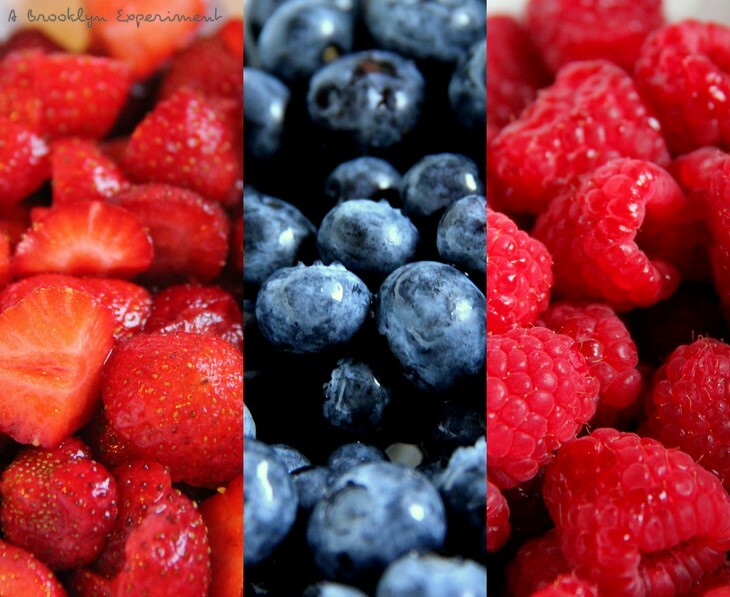 Add strawberries, raspberries, and blueberries; gently toss until berries are well coated with mixture. 3. Lightly grease pie plate. Carefully lay 1 pie crust pastry in the plate. I roll it onto my rolling pin and then unroll it into the pan so it doesn't stretch out. 4. Stir berry mixture, and transfer to the crust lined pie plate. 6. Brush top of pie with egg wash. To make sure your pie edges don't get too brown when baking, cover the edge of the pie with foil. 7. Bake at 375 degrees F (190 degrees C) for 25 minutes. Remove foil. Bake for an additional 20 to 30 minutes, or until the top is golden. Cool on a wire rack.